The Château de Cugat was constructed in the 1500s. Located in the small town of Blasimon, the Château stands upon a hill overlooking the village. The vineyards surround the Château, and are comprised of Merlot, Cabernet Sauvignon, and Cabernet Franc for red wines, and Sauvignon Blanc, Sémillon, and Muscadelle for white wines. 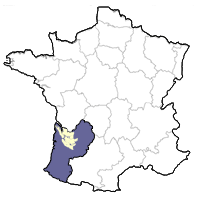 Cugat is situated in the Entre-Deux-Mers, which is an appellation designated for strictly white wines. The red wines of the region are entitled to the appellation Bordeaux Contrôlée. If their yield is below a certain point and their alcohol level half a degree higher (12.5%), they are entitled to the appellation Bordeaux Supérieur Contrôlée. Bordeaux Supes are generally considered a step up from straight Bordeauxs. In 1926, the property was acquired by the grandmother of winemaker, Benoit Meyer. When Benoit began overseeing the estate in the early nineties, he dreamed of making a wine that would make people think they were drinking something from an area more lofty than the humble Entre-Deux-Mers. 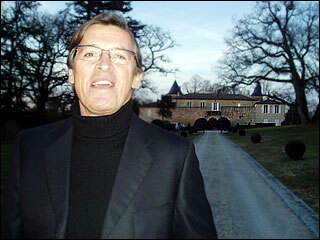 After all, part of his vineyard had a mixture of sand and gravel soil, much like parts of nearby Pomerol. And a parcel of the vineyard was between 40 and 50 years old and had wonderful exposition. Benoit made his first dream wine in 1997. With the help of his enologist, they decided to use solely a parcel of old vine Merlot. They did a green harvest in July, and waited longer than their neighboring Châteaus to pick. They put the perfectly ripe juice in new Seguin Moreau oak. Called Francis Meyer, the cuvée is made with nearly all Merlot and aged in new oak. 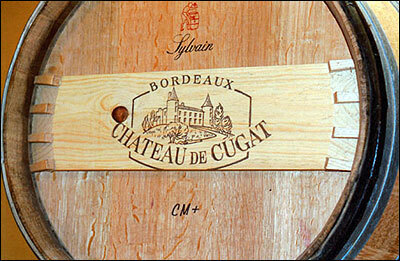 Malolactic is in barrel and the wine is raised with great attention, like "in the top Châteaus of Bordeaux." The result is one buxom Bordeaux Supérieur. The nose soars from the glass, with dense blackcurrant, vanilla, spice and smoke notes converging on the full-bodied palate. The tannin is silky and well-integrated, the finish long and persuasive. Benoit also makes two other excellent wines — Cuvée Premiere and Cuvée Classique — using grapes from other vineyard plots surrounding the Château. 60% Merlot, 40% Cabernet Sauvignon. Tasting Notes: Ripe notes of blackcurrant, cherry and a touch of licorice. Good structure, great wine for the money! 90% low-yielding Merlot (30hl/ha), 10% Cabernet Sauvignon. Grown on the clay and chalk soils of the vineyard's oldest parcel of vines. Aged in 100% new Seguin-Moreau and Sylvain oak barrels and bottled without filtration. Tasting Notes: The nose is rich, round and inviting, while dense blackcurrant, vanilla, spice and smoke notes converge on the supple full-bodied palate. The tannin is silky and well-integrated, the finish long and persuasive. 70% Merlot and 30% Cabernet Sauvignon. Aged in 2nd-, 3rd- and 4th-use barrels of Francis Meyer. Tasting Notes: Shows notes of black current, licorice, smoked vanilla and spice.